Goodness, gracious! 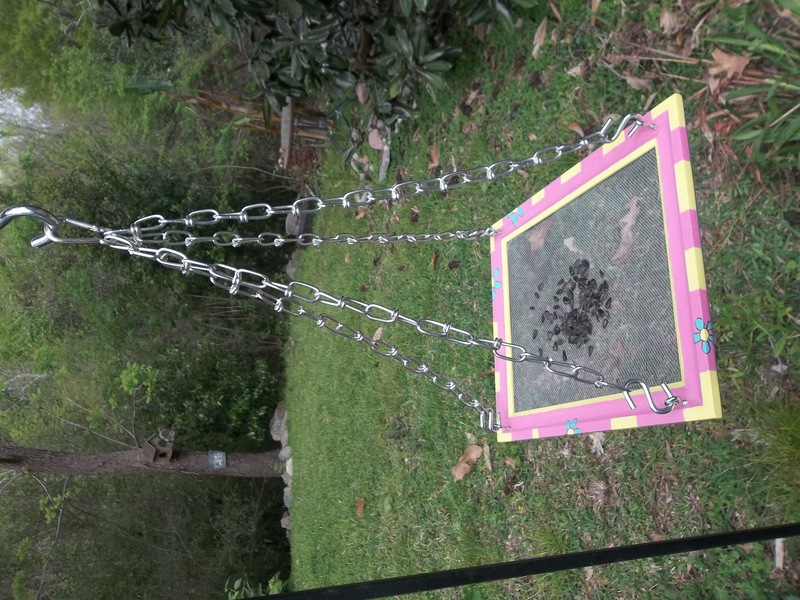 I finally finished this bird feeder. What held me up? Fear. I was afraid I’d mess up the hardware part. Painting is easy; carpentry is not my thing. I made this out of a picture frame that I bought second-hand after seeing the idea in a Birds and Blooms magazine. I used outdoor paint so it ought to look pretty decent for a few years. This is my fourth feeder. When I was doing the third one, my son said I ought to use a drill to get the holes started for the eye screws. So, today I learned how to use one. And did it! And here it is.